Preview all 30 finished projects in our exclusive Look Book! Why should kids have all the fun when it comes to cute-as-a-button caps or fun and fanciful hats? 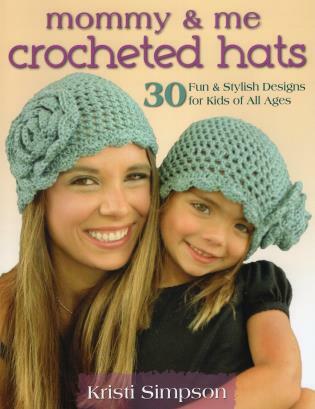 And why can't little ones feel just like mom and dad with a fashionable newsboy visor or slouchy hat? In this delightful collection of 30 original patterns, everyone can get in on the fun.